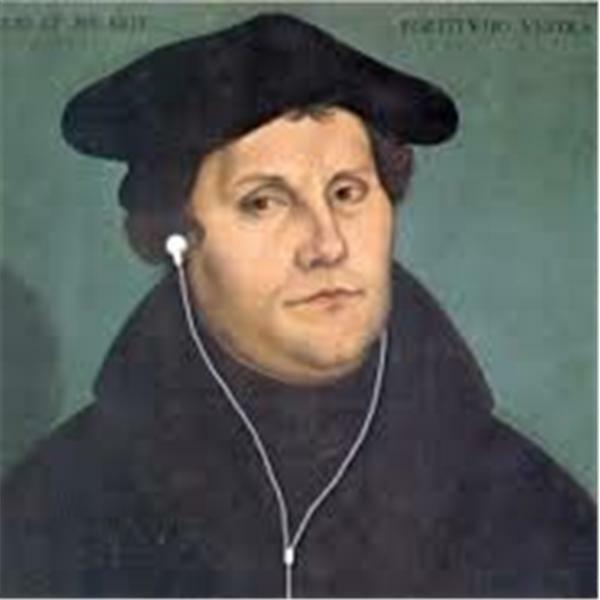 As I was cleaning up my laptop and working my way through some pages I bookmarked awhile ago, next in line was a link to purchase a certain Lutheran book. 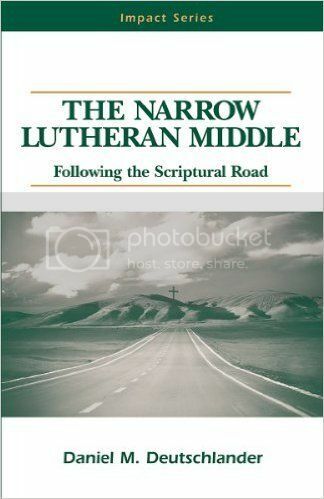 It's a book that's published by Northwestern Publishing House (which is the WELS Publishing Ministry like Concordia Publishing House is for the LCMS) titled The Narrow Lutheran Middle: Following The Scriptural Road written by Rev. Professor Daniel M. Deutschlander. While reading the Bible, many people make the mistake of favoring one teaching over another. In this book in the Impact Series, the author examines a number of seemingly contradictory teachings in the Bible and shows us how to apply them to our lives by letting each teaching stand alone, without trying to resolve them. Some topics covered in this book include the right and wrong uses of reason in religion; predestination, God's providence, and human responsibility; doubt and presumption; carnal security and despair; God's will and human will; royal priesthood of believers and public ministry; the Great Commission and the doctrine of election; and finding the middle in worship wars. Professor Deutschlander plumbs the depths of Scripture as he examines these timely topics, all the while showing the reader the "narrow Lutheran middle" of Scripture. Clearly, it sounds like a book that would interest any Confessional Lutheran so I did a little more research and discovered that the author gave a 45-minute presentation (20-minute Q&A after) on his book that you can find on YouTube, which is definitely worth sharing. If nothing else, I hope that provided you with a good way to spend an hour of your weekend. 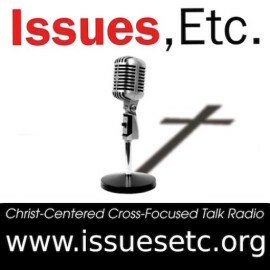 -- I absolutely loved this quote: "There's an on-going and perverse tendency to want to help God out by correcting His Word by emphasizing some of it at the expense of the rest. People just automatically want to do that." -- "Peter is the Patron Saint of those who want to give advice to God." -- "All the feel-good sects navel gaze. Don't navel gaze! Joel Osteen comes to mind. 'Well, the Bible says that God wants us to be happy!' And so, you take off with that as the 'be all' and 'end all' of what the Bible has to say. Well, the Bible tells us to be happy...but it always tells us to be happy in the context of God delivering us from suffering. It always tells us that in the context of 'bearing the cross.'" -- "God's Word always gets everything right in our best interest." -- "The devil's goal with introducing false doctrine is always to lead us away from Christ to either self-righteousness or to despair. That's always his goal." -- "There's no such thing as a little or insignificant false doctrine. God always takes His Word seriously whether we do or not." -- The story he tells about the eyebrow-raising experience he had at one Lutheran Seminary that was teaching that Moses was not the author of the first five Books of the Bible is emblematic of why a book like this is so necessary. -- On the Sacraments: "It's not an 'interpretation' it's just repeating what the Bible says!" 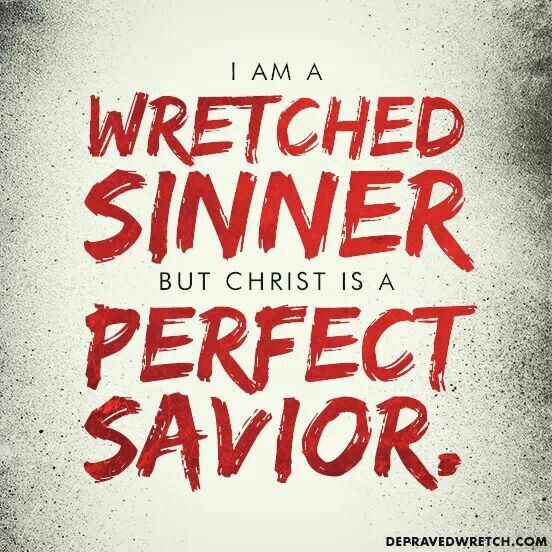 -- "All false doctrines have these three characteristics: (1) they contradict the Scriptures; (2) they rob Christ of His glory; and (3) they rob the penitent Christian of all comfort." -- "We are never at the point where we don't need the Bible anymore." -- "The goal of every generation is to cling to the Scriptures and to see Christ on every page." 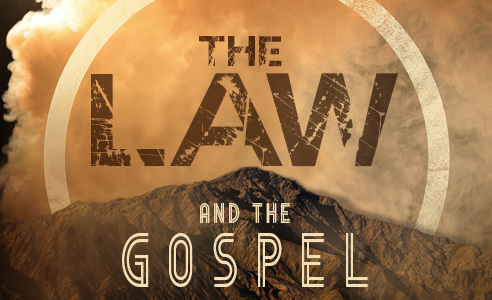 -- "The 'Narrow Lutheran Middle' is understanding the distinction between Law and Gospel and understanding that Christ is at the center of the Scriptures." -- I loved his explanation of the importance of Pastors understanding Greek and Hebrew (and the color, flavor, and nuances in the Biblical languages) in comparison to how most Christians read and understand the Word of God today during the Q&A Session at the end. -- His final words to close the presentation on the Office of the Holy Ministry were absolutely beautiful! There's a lot more I wanted to share, but I didn't want to ruin it for you. 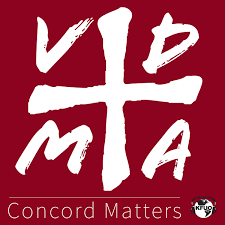 In a Lutheran layman's terms, we need to remember that God is serious, His Word is serious, and we need to always take into account "the whole counsel of God" (Acts 20:27) rather than cherry-picking the parts we like while ignoring the parts we don't like so much.